Developing a culture of continuous improvement and growth and how it can transform an organisation was the topic for discussion at the Aspire briefing on the 16th May. GRAHAM Construction achieved IIP Platinum accreditation and the Health and Wellbeing Award in 2017. In addition to speaking about developing a culture of continuous improvement, Michael also spoke about GRAHAM’s innovative wellbeing programme. Ark Data Centres was established in 2005 to design, construct and operate secure and efficient data centres. Manley spoke about the 5 Factors of High Performance, the benefits and the importance of Compassionate Leadership. Matthew Taylor has been Chief Executive of the RSA since November 2006. 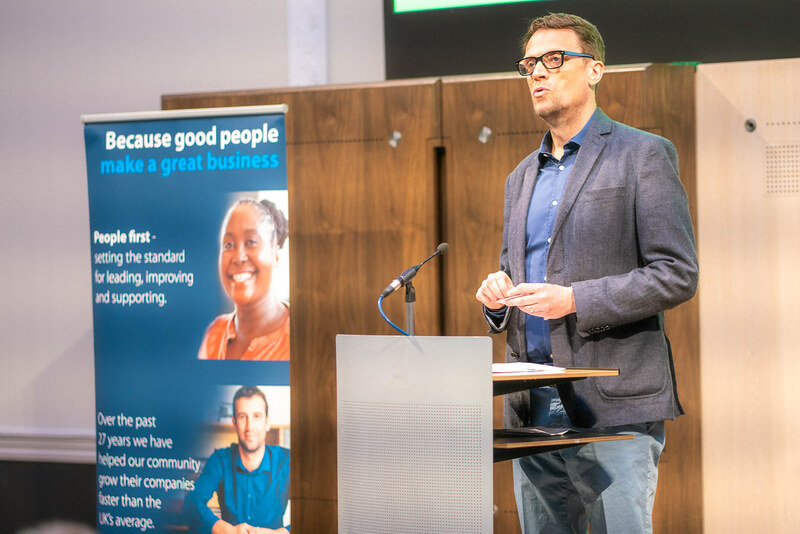 Matthew discussed the 5 key principles of good work and recommended organisations conduct robust self-reflection like that offered by the IIP model.